But after so many of you generously offered to give me one, I thought I’d share a couple of personal headgear-faves with you! Beret de fromage: Originally a French recipe, this one is a bit of a Lib Dem special. Basically, you carefully set out for your guests exactly how you’re going to prepare it, but then change every ingredient or aspect of the recipe on a whim! A meal, and a party game! The slippery helmet: When I was in the Marines there was nothing like sitting by a campfire, getting hold of the old helmet, massaging it with bacon fat, and then having a spitroast. Once it’s done, you just poor over a salty jus of eggwhite, seasalt and cream, and wham! Delicious! Many’s the time we soldiers used to camp out under the stars, munching helmets together! Deerstalker puff-muff: I’ve always been a huge Sherlock Holmes fan. Love him. Love all the stories. But it’s the hat that really does it for me. A deerstalker is a real treat, especially generously covered with buttery, flakey pastry. And if you wear it with the flaps down over your ears, you can’t hear all the accusing voices anymore! 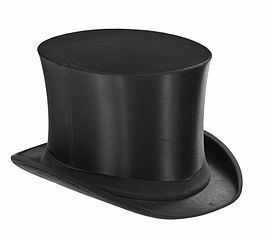 So if any of you want to present me with a tasty hat, as a result of my short-sighted pledge last night, one of the aforementioned would do nicely! Or maybe I won’t eat my hat at all and it will just be yet another broken Lib Dem promise…I bet you can’t wait to find out! Posted on May 8, 2015 at 9:46 am in Food, Politics	| RSS feed You can	trackback	from your own site.